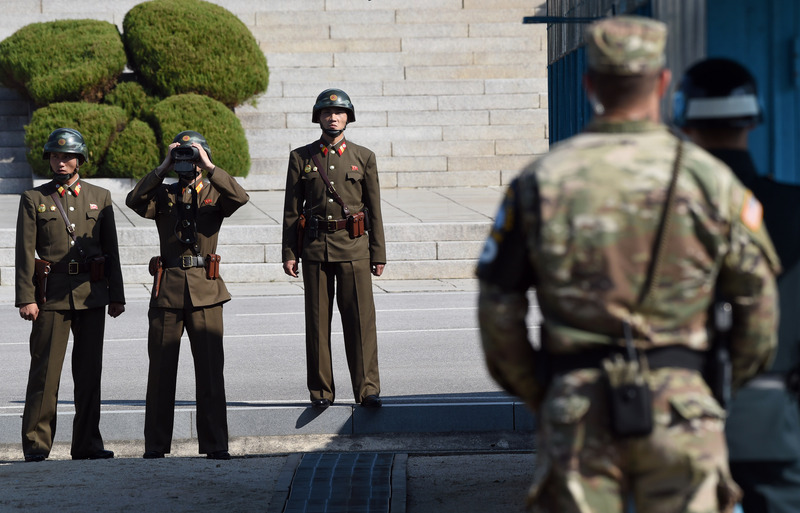 North Korea violated its armistice with United Nations Command (UNC) when its soldiers opened fire on a soldier attempting to defect by crossing through the joint security area where the North and South Korean soldiers stand face-to-face. While the UNC is looking for a way to prevent future violations, North Korea has repeatedly announced that it had withdrawn from the armistice. North Korea’s previous violations of the agreement have been more severe. The UNC completed an investigation of the incident on Monday and issued its finding on Nov, 21. North Korea violated the armistice twice during the incident, it said. 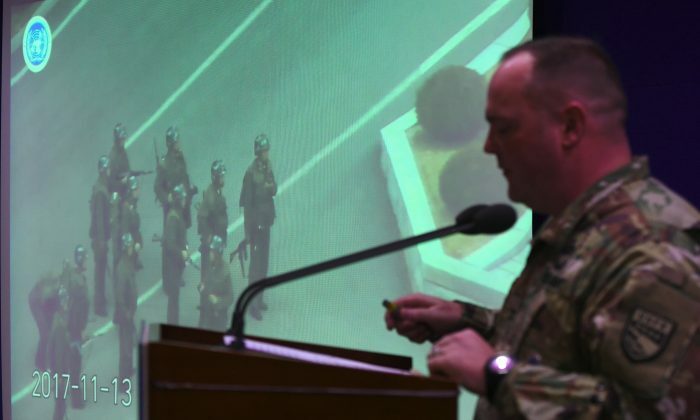 The Special Investigation Team says the North Korean soldiers violated the armistice by firing weapons across the Military Demarcation Line (MDL) and by one of the soldiers momentarily crossing the MDL in pursuit of the defector. The UNC has notified North Korea of the violations and requested a meeting to discuss the investigation results and prevent future violations. UNC Commander Gen. Vincent K. Brooks said the UNC security battalion handled the situation properly to deter a resumption of hostilities. “The armistice agreement was challenged, but it remains in place,” he said. The North Korean regime has repeatedly withdrawn from the armistice and has consistently violated it. The regime has announced its withdrawal from the agreement six times—in 1994, 1996, 2003, 2006, 2009, and 2013. Those announcements often came in protest of U.S.-South Korean military cooperation. In 2009, the regime went as far as saying the two countries were back in a state of war. In 2013, the North again said it was not bound by the armistice after being hit with sanctions due to its nuclear bomb test at the time. 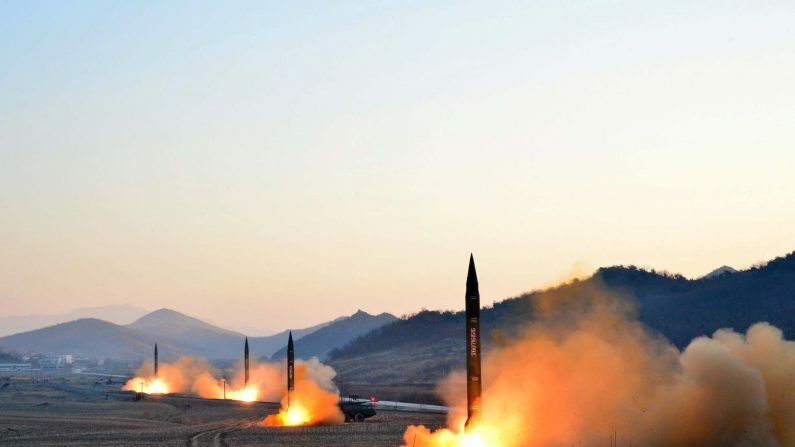 As the U.N. prepared to vote on those sanctions, Pyongyang even threatened nuclear war. “Now that the U.S. is set to light a fuse for a nuclear war, the revolutionary armed forces of the DPRK will exercise the right to a preemptive nuclear attack to destroy the strongholds of the aggressors and to defend the supreme interests of the country,” read a statement issued from North Korea at the time. One of the more startling violations of the armistice was North Korea’s repeated attempts to tunnel under the demilitarized zone so that it could more effectively invade South Korea. One of the tunnels created for a surprise attack on Seoul extended a quarter of a mile into South Korea and was large enough to put 30,000 soldiers an hour under the demilitarized zone. It is now used as a tourist destination. The regime is believed to have dug around 20 tunnels, though only four have been discovered. The tunnels have become less relevant as the North has improved its missile technology. 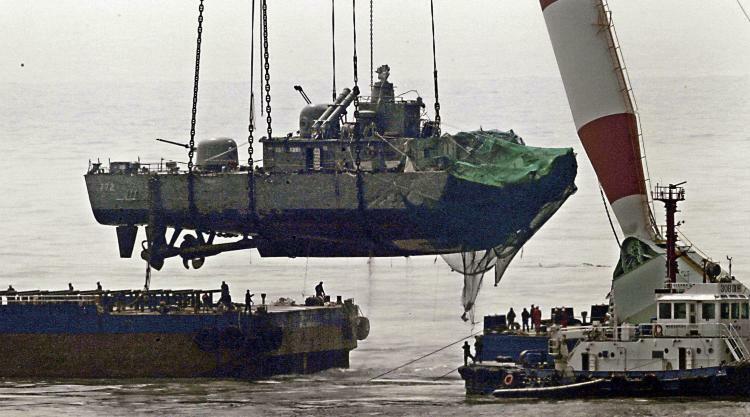 More recently, in 2010, North Korea torpedoed the ROKS Cheonan, a South Korean corvette, killing 46 soldiers. 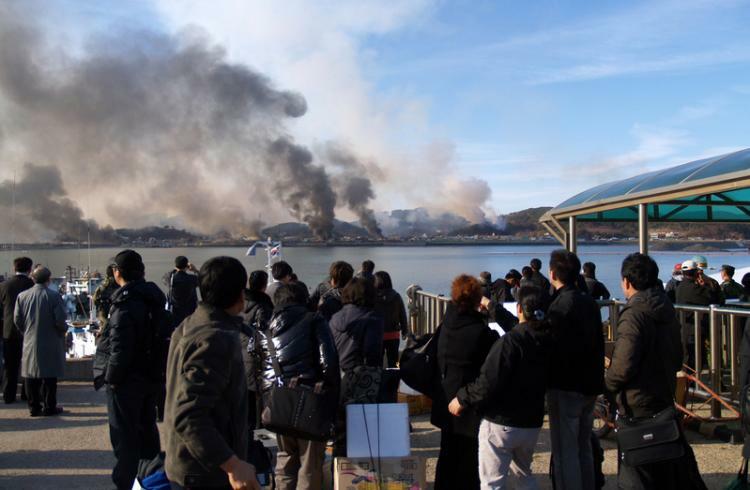 Later that year, the regime fired around 200 shells at a military base on Yeonpyeong island, killing two soldiers and two civilians. The latest violation of the armistice happened on Nov. 13. Footage from UNC cameras inside the demilitarized zone captured the defector racing his jeep across the 72-hour Bridge, pulling over, and running to South Korea through the joint security area where North and South Korean soldiers stand face-to-face. North Korean soldiers pursued and fired on the defector even after he crossed the military demarcation line (MDL) that separates North from South Korea. One of the soldiers chased the defector across the painted stripe that shows the exact location of the MDL. The soldiers fired 40 rounds, hitting the defector at least five times, causing him to take cover and lay on the ground until UNC security battalion’ soldiers recovered him and had him medically evacuated. Both firing across the MDL and crossing it were clear violations of the armistice, said the UNC.